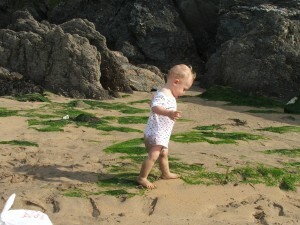 Our baby and child friendly holidays include stair gates at the top and bottom of the stairs, baths with bathmats (and a bath support seat), free travel cots and highchairs, children’s books, games and DVDs. We have a young family ourselves so if there is anything you have forgotten to bring with you please ask and we will do our best to help you! 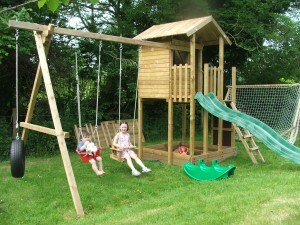 Outside there is table tennis in an unconverted barn, a flat grass area for badminton in the Summer and a under 10’s play area in the orchard with swings, slide, climbing wall, sandpit, football goals and picnic tables. 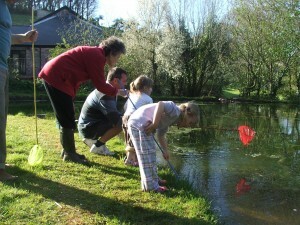 Both wildlife ponds are fenced for safety, though we do offer supervised pond dipping sessions in the summer holidays. Try geocaching (otherwise known as digital treasure hunting!) Local geocaches can be found at Start Point and Torcross.